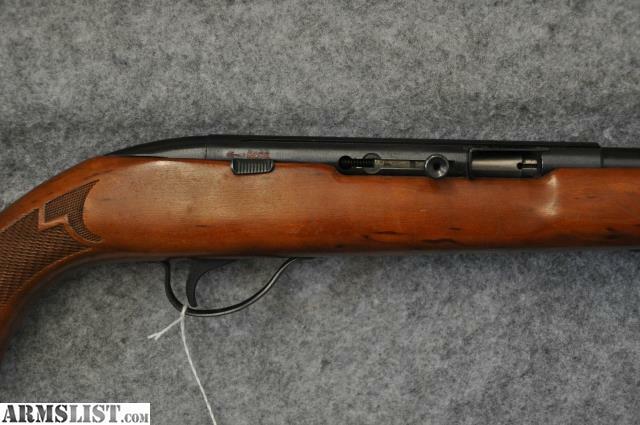 Condition: This Sport King is the deluxe model of High Standard's semi-auto 22 rifle. They were produced from 1966-71 and feature a 22" barrel, and 15,17,21 shot capacity depending on ammo. 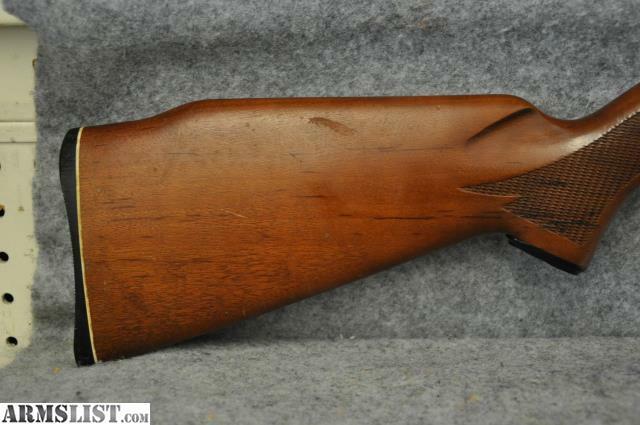 The gun is in nice shape with some light nicks on the wood and some minor blemishes on the magazine tube. 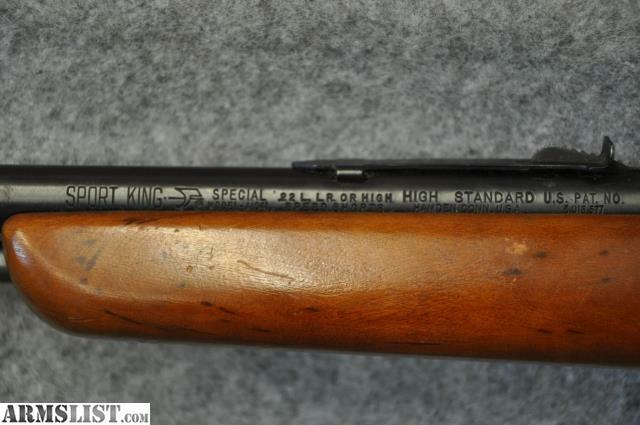 Though not as common as Remington rim-fires of the period, High Standard quality was second to none.